Dr Elizabeth Taylor is a Senior Lecturer in Urban Planning & Design at Monash University. Taylor’s research explores links between urban planning, housing markets and locational conflict. 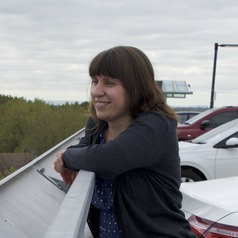 Often using spatial and historical perspectives, her research develops understanding of long-term urban change and the role of policy settings in it. One focus is car parking – an unnoticed but ubiquitous land use with broader repercussions for contested rights to urban space. Taylor has published on the role of car parking in planning conflicts, the history and legacies of minimum parking regulations, and on the extent and use of residential car parking. She consults for local governments on parking policy futures. Taylor’s research develops novel urban policy applications for remote sensing and GIS. For example she uses data-driven spatial perspectives to examine planning objections to higher density housing, and the role of housing development in tree canopy change. In 2018 she published the book “Dry Zones: Planning and the Hangovers of Liquor Licensing History” on liquor licensing history and its legacies for planning systems today. Her current research projects include “Australia’s new cities: past, present and future”; “Evaluation and learning in public housing urban renewal”; “Early delivery of equitable and healthy transport options in new suburbs” and “Metropolitan monitoring and analysis of vegetation cover, heat and land use”. She was awarded the 2012 Brian McLaughlin Award, and a 2017 German Academic Exchange scholarship. She is also co-host of the podcast This Must be the Place. She was previously a Vice Chancellor’s Post-Doctoral Research Fellow in the Centre for Urban Research at RMIT University; and a McKenzie Fellow at the University of Melbourne; as well as working in consultancy and government research roles.